An equilateral triangle is a triangle with three (3) equal sides. 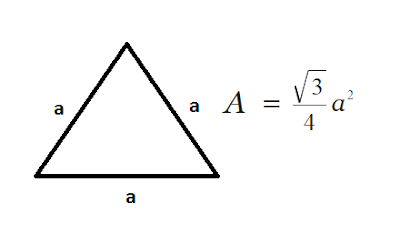 The following is the illustration and formula on how to solve for the area of the equilateral triangle. I also have several PHP and Java codes here related to solving for the area of a square, area of circle, area of a triangle, area of rectangle and area of an ellipse. Try the Equilateral Triangle Solver in PHP Live Here!